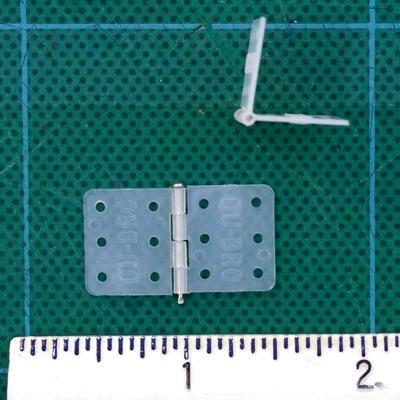 Medium Nylon Hinges (Du-Bro, 5/8" x 1 1/8", 6 per Pack). Use when making helicopter models, etc. Note that the pin holding the parts of the hinge together on the Du-Bro hinges is not designed to be removeable, but if desired, you could cut it off and replace it with an "L" shaped pieces of piano wire, etc., to make a hinge you can seperate.